Coronado Beach (just a hop across San Diego Bay from the conference site): Soak up the sun and the picturesque panorama from Coronado Beach, just steps from the historic Hotel del Coronado and with views of Silver Strand State Beach to the south and Point Loma’s Cabrillo National Monument to the north. Mission Beach and Pacific Beach (about 10 miles north of Downtown): Stroll or bike along the 3½ mile boardwalk from Mission Beach’s Belmont Park and volleyball courts to Pacific Beach’s Crystal Pier and Tourmaline Surfing Park. Walk just one street east of the boardwalk to the watersports paradise of Mission Bay, with its own pathway and beaches as well as home to Sea World. La Jolla Cove and La Jolla Shores (about 15 miles north of Downtown): Explore the tidepools, observe marine wildlife, and, if you are adventurous, go snorkeling in the Cove or kayak around the sea caves along the coastline. 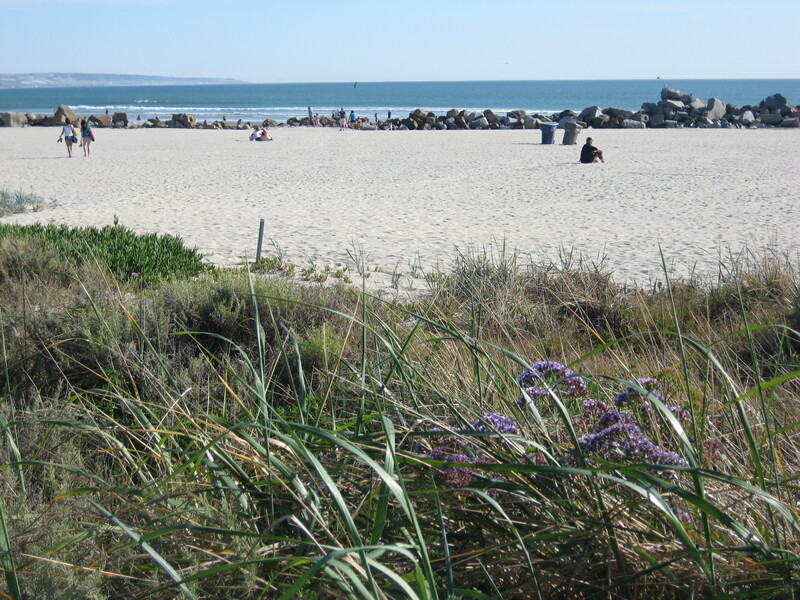 This entry was posted in Attractions and tagged beaches, Coronado, family fun, surf, weather. Bookmark the permalink.